Shari R. Gabriel MD is our Pediatric Orthopedic Surgeon who received her medical degree from the University of Louisville , residency at Lutheran Hospital in Fort Wayne IN, and completed fellowships in Pediatric Orthopedic Surgery and Foot and Ankle Surgery at The Medical College of Wisconsin. After her fellowships in Milwaukee, she served for four years as full time faculty at the University of Louisville as the Chief of Pediatric Orthopedics at Kosair Children’s Hospital. Dr. Gabriel has 20 years of experience educating residents and fellows in orthopedics, podiatry, sports medicine and physiatry as clinical faculty at University of Louisville and as staff surgeon at The Commission for Children with Special Health Care Needs in Kentucky caring for patients in the Myelodysplasia, Cerebral Palsy and Congenital and acquired orthopedic clinics. As a mother of four very active children, she has devoted her life to the care and treatment of pediatric and adolescent patients with injuries and deformity. Her practice encompasses all aspects of pediatric orthopedic and musculoskeletal care from birth to age 18. She has a special interest in pelvic and lower limb abnormalities, upper and lower extremity fractures and pediatric and adolescent sports injuries. 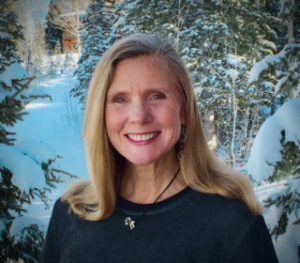 Dr Gabriel’s enthusiasm for the outdoors, skiing, mountain biking, hiking, swimming, and outdoor photography has led her back to the mountains of Park City where she can give back to the community she and her family have enjoyed for so many years.